» Did you know that AYR…? Did you know that the company Accesorios y Resortes has been the first company to introduce in Spain the digital peephole? 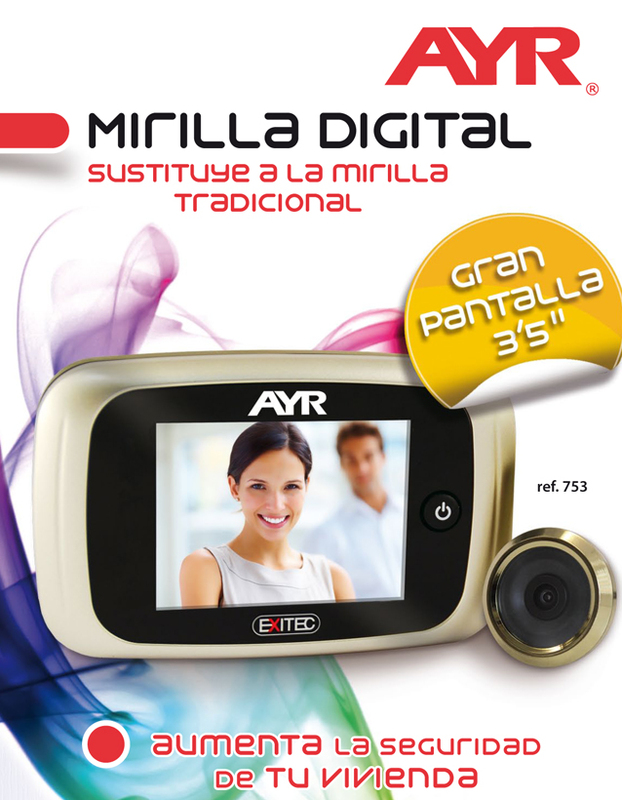 AYR, company from Ibi (Alicante) with more than 50 years of experience in all kind of devices for doors, have been pioneers in Spain in the introduction of the digital peephole, a new article that replaces the traditional peephole to see the other side of the door. Moreover, the company is going to develop soon a peephole that will permit to intercommunicate with the user through Smartphone. This way, if somebody comes to our house and we are not in, we will be able to speak with the person through the peephole.